Life comes to a standstill when the power goes out. Even a short spell without electricity is unsettling. Flashlights and candles help us survive for a few hours until power resumes. But constantly unstable and unpredictable weather conditions mean a power outage could last much longer. Power can be lost for weeks at a time. Hurricanes, tornadoes, earthquakes, wildfires and floods can severely damage electrical systems, knocking out power for long periods. Thunderstorms, tropical storms, ice storms, blizzards, even squirrels and woodpeckers can damage power lines, causing outages. With all these threats, it's amazing that service providers keep us mostly up and running! And it's a good thing they do, because power outages affect more than our sense of well-being. Imagine losing everything in the fridge and then spending a small fortune to replace it. Even simple things like taking a bath become impossible without electricity to heat water. And with a private well, you lose even cold water. For those who work from home, even a brief power outage can spell disaster. Without the computer you have no business, no work, no income, an unhappy boss and dissatisfied clients. In cold climates power outages can be life-threatening. A warm house cools down very quickly when wind chills are below zero, leaving children and elderly especially vulnerable. Pipes can freeze, causing thousands of dollars in damage and disabling entire plumbing systems. In warm climates, no air conditioning can mean heat stroke or heat exhaustion when even the fans don't work. And power outages can threaten the very lives of those who depend on electrically powered medical equipment to stay alive and well. 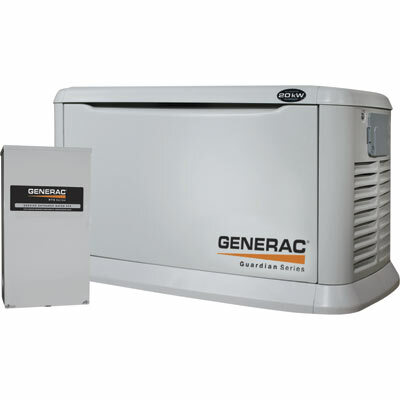 Backup home generators are the only reliable protection against a power outage. Power generators are not as expensive as you might think. You have the option of generating a little power or a lot, depending on what you need to get by. Portable gas engine generators cost between $300-$2,500 and provide from 2,500-10,000 watts of emergency power. Portable generators can keep you moderately comfortable, especially if you stagger usage and have an alternate heat source like a fireplace or gas logs. The drawbacks are that you must fire it up, refuel it, and position it away from your house because of carbon monoxide. Cheaper models are also noisy. Standby generators, which run on natural gas or propane, turn on and off by themselves and provide 20,000-45,000 watts of power with unlimited running time. 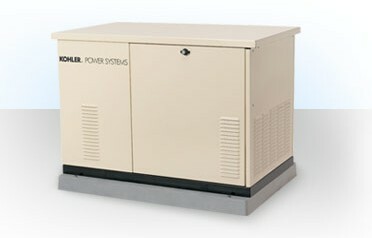 Costing anywhere from $2,000-$9,000, standby generators are safe, easy and will keep you very comfortable. However, they must be installed by a professional electrician. These systems can help you to function effectively during a power outage. Take some time to consider your needs before the power goes out and prepare for an emergency now. 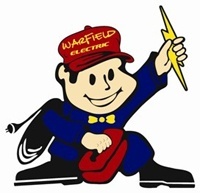 You and your family will be safer and power outages will be one less thing you have to worry about.